THE RIVER is wider than it should be and it’s the wrong color. Instead of its usual reddish brown, a gift of the topsoil it steals from the rice farmers upstream, it’s a cold, metallic gray-green, the color of the sea beneath clouds. And it runs faster than it should, fast enough to whip up curving rills of white foam where the water quickens over the tops of stones. Although the sky is bottomless, unblemished blue, the girl can’t find the sun. She sits on the green bank, shadowless, watching the river’s flow, not knowing her name and not very bothered by it. Several names come to her, and they all seem to be hers, but she knows she has only one. If she could see her face, she thinks, if she knew how old she is, she’d know which name to accept. The landscape offers no clues or indications. There’s nothing but the stunted forest with its ragged, disorderly trees and waist-high scrub, and the wide gray-green river, flowing swiftly toward her and then past her, leaving her here, a stationary dot on its passage to the sea. A pale distance away, the river bends to the right and disappears behind a faded green treeline. All that water rounding the bend, resolutely silent, unaware of her. But why shouldn’t it be unaware of her? She’s barely aware of herself. Experimentally, she examines her right hand, holding it just above the ground with its tangled green cover. Her hand is so sharp that it seems closer than it is, and she can see the faint blue map of veins beneath her skin pulse with each heartbeat. She feels the blood rushing through them, a tiny river within her, and that thought draws her eyes back to the larger river, and then upstream to the bend where it vanishes. And she knows –with no feeling of discovery, but as though she has always known –that up there, out of sight, on the far side of the bend, the river is bringing something to her. Bearing it, whatever it is, on its unstoppable flow. She thinks, “I need to talk to my mother” and then the day dims and the girl shivers and realizes that she’s grown suddenly cold. FOR THE THOUSANDTH time since they began to live together, Rose wakes up shivering and asks herself why Poke puts the air-con on high every night, turning their bedroom into a refrigerator, and then steals every blanket on the bed so he can build a fort against the cold he created. My mother? She thinks as a tiny scrap of her dream surfaces like a fragment of mosaic and then sinks again. Why would my mother come to me? Or did she? Mostly, it seems, mostly, it was the river. Rose never knowingly ignores a dream. Automatically, she checks the time, which is announced in the sleepy-blue numerals of the bedside clock as 2:46. Too late to call. If something is wrong, there’s nothing she can do now. She’ll call first thing in the morning, make Poke bring her the phone while his silly, fancy coffee is dripping and the water is heating for her Nescafe. She stretches her arms and her legs and then sits up and reaches for the pack of Marlboro Golds parked permanently on the table, just in front of her big glass ashtray, with this week’s disposable lighter lying obediently on top of it. She knows the smoke will wake Poke, so she makes a silent deal with herself. She won’t hold the lighter in place when she picks up the pack, and if the lighter falls off she’ll put the pack back and go to sleep. When the pack is in front of her, the lighter is dead center on top. She palms the lighter and flips open the top of the box, inhaling the rich brown aroma. Even in the dark, the precise white cylinders of the filters are comfortingly clean and — unused. They promise hours of solitary pleasure. For so many years, the years when she was dancing in the bars on Patpong, being dragged night after night to hotels by sodden, besotted customers, the moment when it was finally over and she was once again alone — free to breath again, free to light up a cigarette that belonged to no one but her, to pay attention to no one’s pleasure but her own– had gleamed in front of her like a lantern seen through dark trees. It said, Here you are. Here you can be safe again. Here you can be you again. She flicks the lighter and looks down at the cigarette, so secure, so snug, so right between her long fingers. There’s been one there for so long that she can barely feel it; in fact, sometimes when she lights one it’s just because she’s become aware of its absence. Smoking this one now is just a matter of inches: inches to put the filter between her lips, inches to bring the flame to the tip. But instead of putting it in her mouth, she thinks, I need to talk to my mother, and sees briefly and vividly the river in her dream, broad and gray-green. Breathes in the clean air of the forest. She lets the lighter go dark and puts the cigarette back in the pack, replaces both objects on the table. The cold presses itself against her. She can feel Poke to her right, can feel, with a mother’s ability to penetrate walls, Miaow breathing safely, asleep in her own room. The city outside pulls at her like a tide in her veins, its straight streets deceptively orderly, a reassuring grid imposed on chaos: need, fear, desire, envy, desolation, hopelessness, the invisible web woven by those on both sides of the karmic wheel, those who curse it and the fortunate ones who accept it as their due. But up here, in the rooms the three of them share, everything is where it should be. Nothing rolls around. The lines between them are straight and strong. Sometimes when she’s sitting in her spot on the couch in the living room, she imagines them, each lost in whatever he or she is doing but connected nonetheless by a pale, transparent yellow line, like concentrated light. She can walk through the line between Poke and Miaow and feel it go straight through her, warm as the sun. Poke, she thinks. Warm, she thinks. She bends down and touches first her left foot and then her right, which may at the moment be the coldest foot in all of Southeast Asia. Poke has his back to her, knees drawn up, the human core of a mountain range of blankets. He sleeps naked, and it’s easy, as she slips the foot between the blankets, to target the warm bare skin on the small of his back. 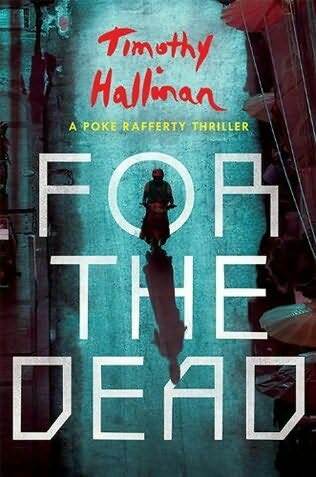 Timothy Hallinan and his publisher, SOHO CRIME have permitted the use of the beginning of Chapter One from FOR THE DEAD to be used here and at Chiang Mai City News. FOR THE DEAD has been available since November 4th, 2014 and can be found at most online book stores as well as many independent and chain book shops. This post previously appeared at Chiang Mai City News and can be found there by clicking the banner below. 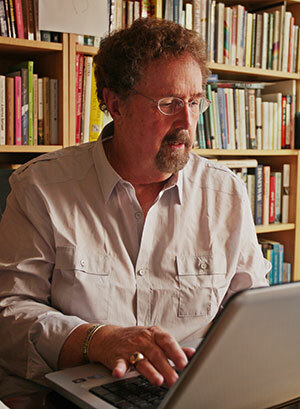 Check out the SOHO CRIME web site for many distinguished authors and excellent books on crime fiction that may be purchased direct for a discount, including FOR THE DEAD and a Crime Fiction bundle.